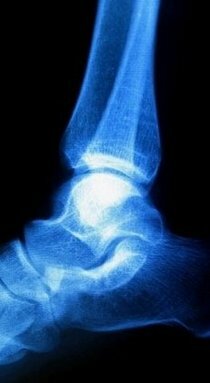 If you are suffering from Haglund's deformity, you will most likely have noticed a bony enlargement at the back of the heel. This inflammation is caused when the soft tissue around the Achilles tendon becomes irritated. Irritation at this particular spot is often the result of pressure caused by the back of pump-style shoes. Other signs of Haglund's deformity include pain in the back of the heel, where the Achilles tendon and the heel meet, swelling in the back of the heel and redness or inflamed tissue at the site of the swelling. Although surgery is an option, non-surgical treatment options are plentiful. Utilizing anti-inflammatory medication can reduce swelling and pain at the site of the problem. Ice can also be helpful in this way. Stretching, heel lifts and pads, shoe modification, physical therapy, orthotic devices, and immobilization are all recommended for patients suffering from Haglund's deformity. Contact us today to learn which treatment options will work best for your particular foot condition.